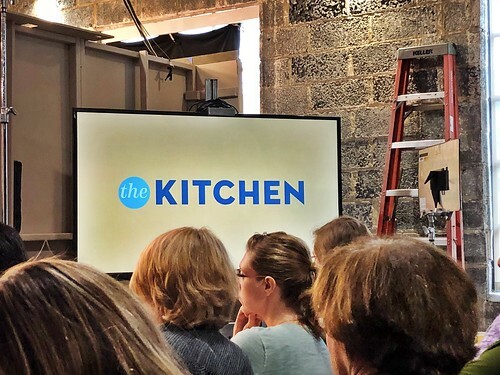 The Kitchen is one of the few cooking shows that I record, so when a friend asked if I wanted to go to a taping with her, I was all in. 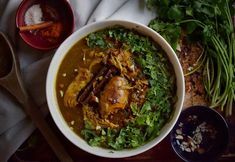 I love the chefs and how they interact with each other, and equally love how most of the recipes they share are super simple to make and usually don’t require a massive tri-state area hunt for exotic ingredients. If you’re not familiar with the show, the chefs are Katie Lee, Sunny Anderson, Jeff Mauro, and Geoffrey Zakarian. And now, after attending the taping, I love them even more. They were seriously so funny to watch. Jeff and Sunny act like misbehaving teenagers, with Geoffrey playing the role of the strict dad. They clearly love what they do, and their passion is evident, and as an audience member, it was definitely a good time. Despite the fact that Food Network is based in New York, The Kitchen, surprisingly, tapes in Montclair, which meant a super easy drive and on-street, metered parking. Hurrah! In fact, I scored the first space right in front of the studio and the meters are good for three hours (without you having to rush out mid-taping to refeed them), so it was perfect. 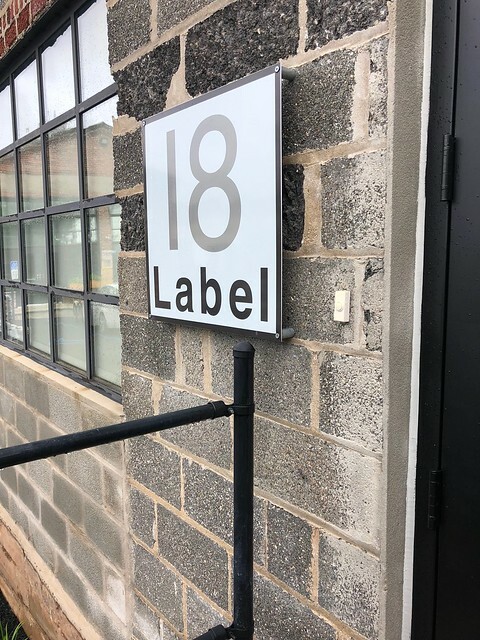 Our taping started at 9, and you waited outside until the very dot of 9, so keep that in mind if you happen to visit during inclement weather. A staffer checked our ID before we were ushered into the small audience area and we grabbed a seat on the folding chairs. When I say “small,” I’m not kidding. There were five rows of chairs, about six seats across, so the audience for each taping is minimal. The chairs are fairly close together, and there isn’t really optimal viewing from every seat, so you may find yourself watching the large tv screen in the room more than you’re watching the actual people. I vacillated between both, sneaking peeks in between the people sitting in front of me. I heard the ladies in the last row complain about the fact that they couldn’t see that well … and yet they refused to fill out a feedback form at the end of taping. Go figure. Brielle was the audience coordinator, and she gave us a rundown of what we would see. Unlike Rachael Ray’s taping, we were allowed to keep our phones ON, but just had to silence them, which really made me happy. If my kids aren’t with me, I don’t like to be so completely disconnected from them. We were also allowed to take photos, but couldn’t share specifics on social media until the episode actually airs. I *think* I’m safe with what I’m sharing here. The focus of this episode is Dinner in a Snap, and I think it will be airing sometime in September or October. 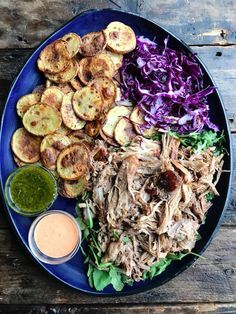 Once I see it on the schedule, I’ll do an update with the details and recipes (and I already have two of the recipes on my list for this week). Each of the chefs made recipes, and we got to sample three of them. Deb Perelman from Smitten Kitchen also made a guest appearance on the show and shared a sheet pan recipe from her new cookbook, Smitten Kitchen Every Day. 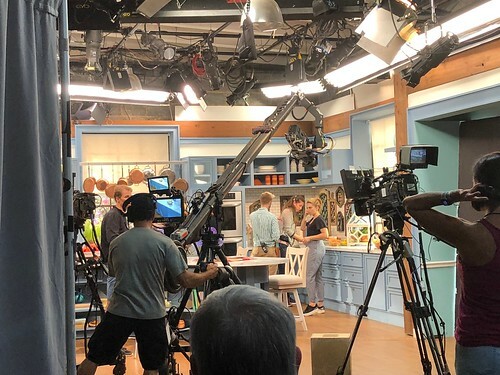 The taping itself was more laid back and low-key than others I’ve gone to, which surprised me a little given the fact that there are four celebrity chefs on set. That being said, it made it heaps more enjoyable. 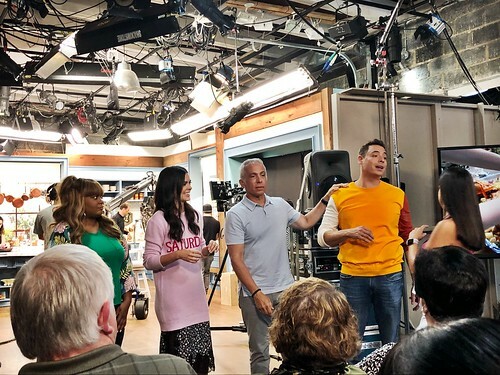 At the end of the taping, the chefs came over to the audience area and each of us were allowed to go up and get a picture with them (the audience coordinator took the photos on our phone, mine was horrible so it will never see the light of day). And during one fifteen minute break period towards the end, Sunny actually came out and sat with the audience. She was interacting with everyone as if they were her long lost friends, talking about bears and birds she’s seen in her neighborhood and what grocery store she shops at. I loved her before, and I love her even more now. So down to earth, real, and completely relatable. The taping was supposed to last “approximately three hours,” but it ended up lasting four and a quarter. There *are* opportunities to run out and replenish your parking meter, and use the restroom, which is awesome. I always love getting behind the scenes peeks at how things work, whether it be a tv show or a business, and this was no exception. 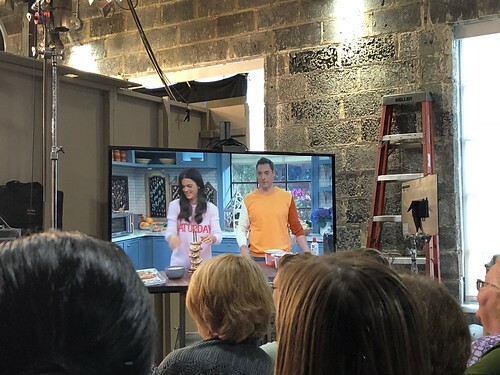 This post is from our recent visit to a Rachael Ray taping in New York City. And our experience when we attended a taping of Martha Stewart’s show. Sounds like a great time! I’m glad it was a positive experience. How did you get tickets? I would love to go. Hi there! How did you get the tickets? I have been trying to figure out how to get tickets for this, could you share how your friend got them??? I absolutely love The Kitchen. How ca I get tickets to attend a taping? Please let me know. Thank you..